Honeysuckle brings make so many childhood memories of my dear Great Aunt Ruby and Uncle Glenn. When my mom had to go back to work, my aunt and uncle took care of us. Unfortunately, they were never able to have children of there own, so they spoiled and loved as as their own. 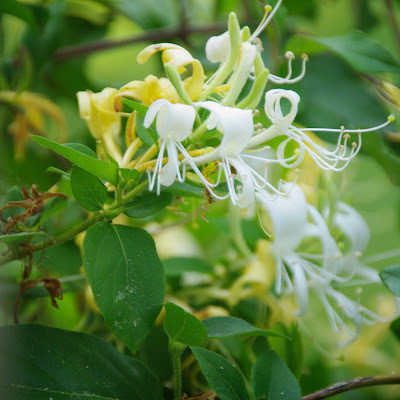 They had honeysuckle bushes in their backyard and showed us how to pull the stamin and taste the sweet necter. 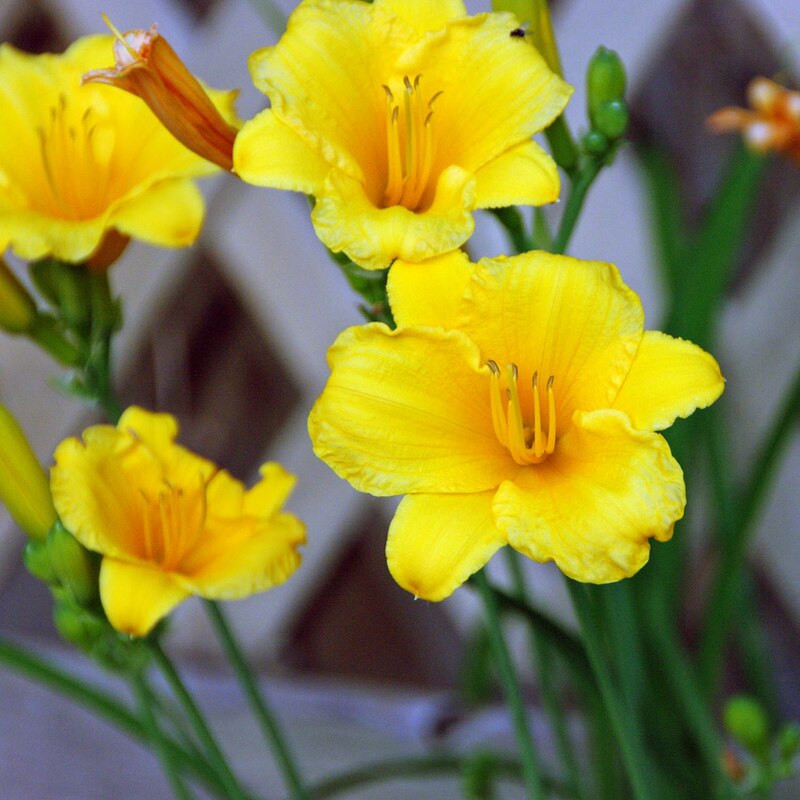 I remember the sweet fragrance and all the wonderful memories of helping Aunt Ruby make her yummy homemade desserts and watching Uncle Glenn in his garage fixing up the newest old car. When one of his cars was finished and looked just right, we all went for our special drives around town. 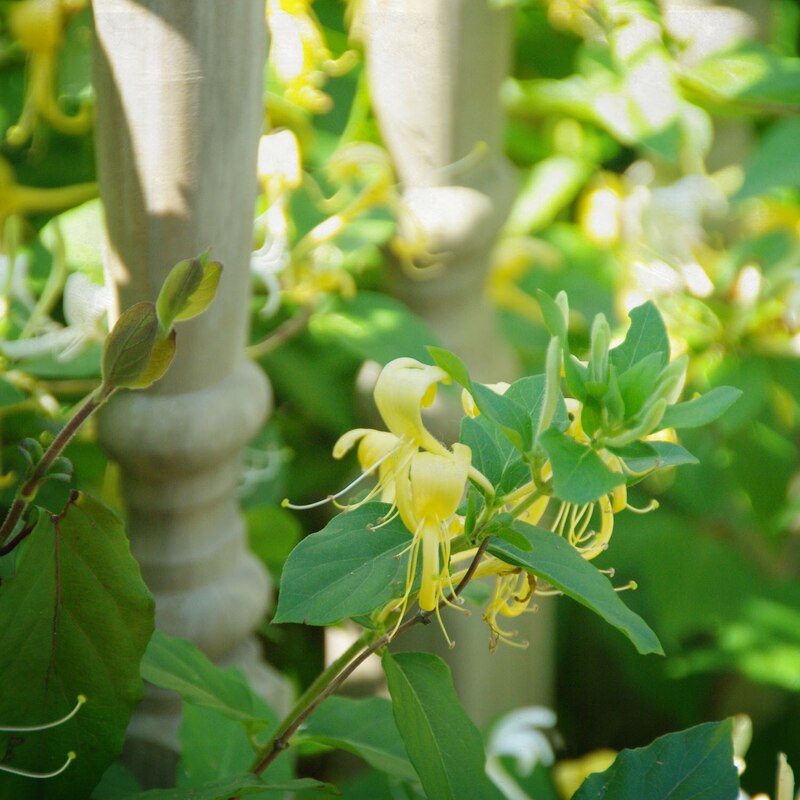 So each year my honeysuckle starts blooming and that sweet fragrance fills that air, I am transported back to those precious memories of my dear Aunt Ruby & Uncle Glenn. Love you Aunt Ruby & Uncle Glenn. Honeysuckle makes me nostalgic, too:) What wonderful memories of treasured times spent with loving family! I wonder if this is a Southern thing. I have never seen this is Minnesota. Thank you so much for your lovely note. You know just what we are up against, having been through this. It means a lot because it is often hard to explain what a tricky cancer this can be. Oh my, honesuckle is flowering where you live?!! Just spotted crocuses in the front yard and I am giddy. Thanks for sharing your oh so sweet honeysuckle memories.